What is a "nit" as it applies to the game of poker? 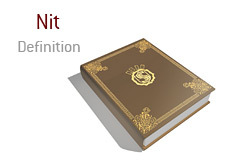 What is the definition of the term "nit" in poker? In poker, a "nit" is a player who is very tight. A "nit" will only engage in hands in which they are almost certain that they are ahead. For example, a "nit" may only raise hands such as QQ, KK, AA and maybe AK. For example, a "nit" may only bet out after a flop of 5-6-10 when they are holding at least two pair or better. 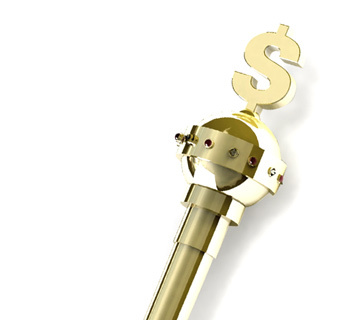 A "nit" can also be someone who is very tight with their money. "Everyone else ordered a steak at dinner, but John just ordered bread and water because he is a nit and didn't want to pay $40". Being a "nit" is not a good thing at the poker tables. The reason? When you do get involved in a hand, everyone else at the table is automatically cautious because they (correctly) assume that you are playing with a premium hand. Example: The player with an image as being a "nit" raised from early position, leading everybody to fold - even the player in the BB who was dealt K-Q, as he correctly assumed that he was crushed.